The first WTF moment of the night was when Hollie was not in the bottom 3. Insane. She was brutes. Then Steven says right away before they even get to the final person that they are going to use their card...um, thanks Steven, now I don't even need to watch the rest of the show. No one is going to be eliminated. So again, Hollie is still on the show. WTF. Then the announcement is made that Jessica Sanchez got the lowest number of votes. WTF moment number 2. That little kid can SING. WTF. 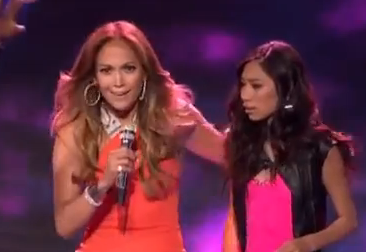 Third WTF moment of the night was the judges charging the stage, Jennifer grabbing the mic from Jessica mid song and saying that of course they were going to save her. Well they had to do something to shock us since Steven already ruined the save surprise. Well American Idol, thanks for making me swear repeatedly at my screen tonight. It was fun.